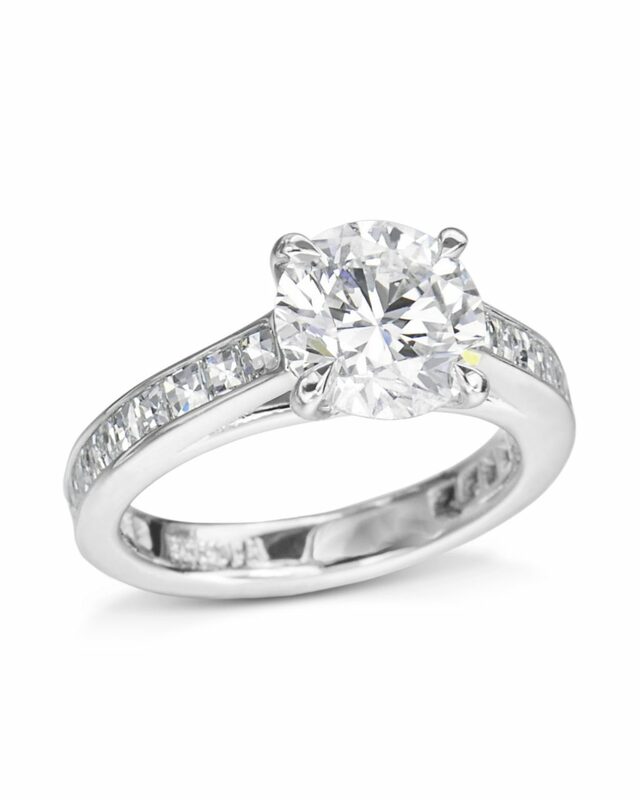 An exquisite blaze cut diamond engagement ring made to perfection. 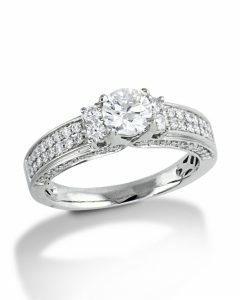 Hand-fabricated in precious platinum, the brilliant round diamond in the center is complimented by 22 channet set Blaze cut diamonds 2/3 of the way down the band giving this diamond ring gorgeous brilliance. 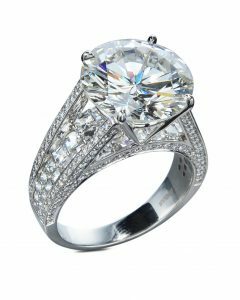 The Blaze cut diamonds give vivid bursts of fire larger than any other diamond cut. 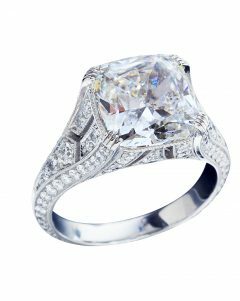 If she longs for a piece that is lavish and elegant, our blaze cut diamond engagement ring is the perfect symbol of love. 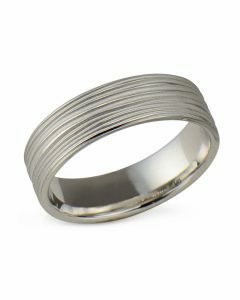 This ring design can be made in 18kt rose gold, white gold or yellow gold. Mounting for a 1.50 carat center.